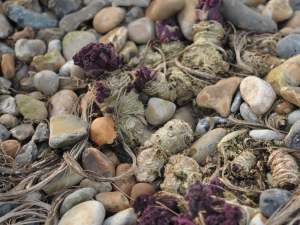 Observation - Sea Kale - UK and Ireland. Description: Easily overlooked, just emerging through the shingle. Easily overlooked, just emerging through the shingle.